Pumpkin Oreo Cupcakes with Cinnamon Maple Frosting – These pumpkin cupcakes are light and moist with a surprise Oreo cookie filling. They are topped with a fluffy cinnamon maple frosting and are sure to remind you of everything you love about fall! I love baking and decorating festive treats for the season. It’s always so much fun finding different treats that I can use in my desserts. 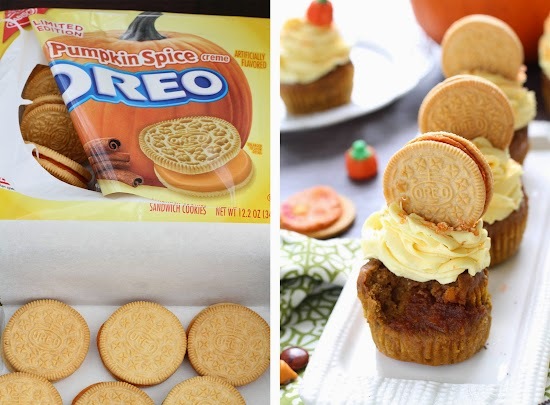 Like all the different Halloween Oreos – and oh my gosh, have you guys tried the Pumpkin Spice ones? Wow, they are so so good! 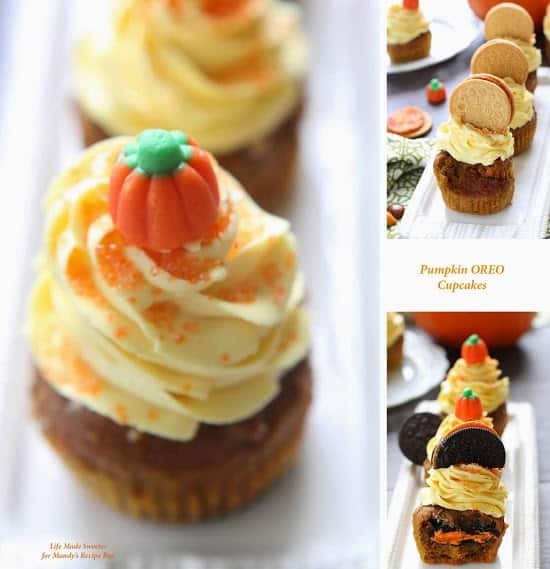 They make an easy topping to these Pumpkin Oreo Cupcakes and a fun surprise when baked inside. You’ll love how soft and flavorful the cupcakes are too. They are loaded with pumpkin and warm spices in every bite. The batter comes together easily using only two bowls and no mixer. Once they are baked up and cooled off, a tall swirl of fluffy and creamy cinnamon maple frosting gets piled on. 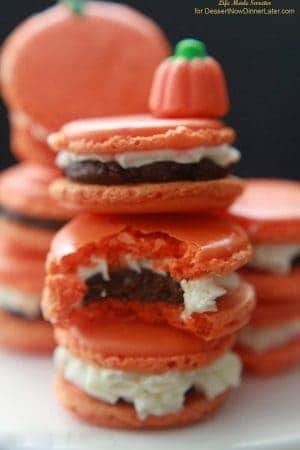 Tint the frosting and top them off with a pumpkin candy corn or another Halloween Oreo and you’ve got your favorite fall cupcake! Everyone will love how tasty and cute they are too! 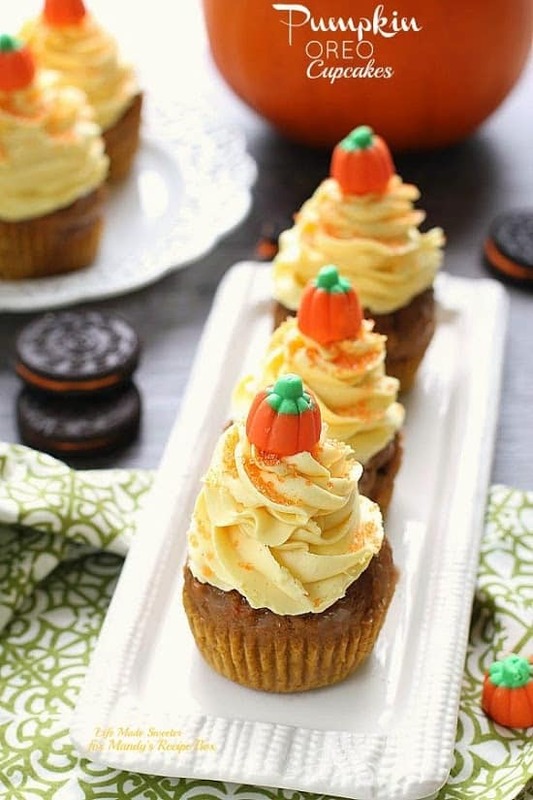 These pumpkin cupcakes are light and moist with a surprise Oreo cookie filling. They are topped with a fluffy cinnamon maple frosting and are sure to remind you of everything you love about fall! Preheat oven to 350 degrees. Line muffin tray with paper liners. 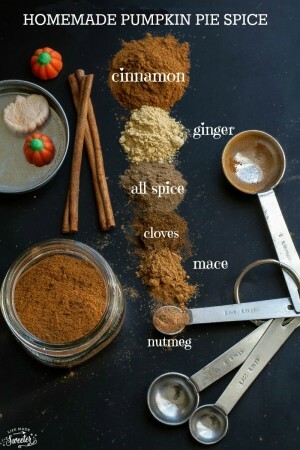 In a large bowl, whisk together the flour, baking powder, baking soda, salt, and pumpkin pie spice until combined. Set aside. In a medium bowl, whisk together both sugars and eggs until well combined. Whisk in the pumpkin, oil and vanilla until fully incorporated. Pour the wet mixture into the dry ingredients and stir with a rubber spatula until just combined. Be careful not to overmix. If not stuffing the cupcakes, divide batter evenly filling each muffin tin 3/4 full. Place into oven and bake for 18-22 minutes, or until a toothpick inserted in the center comes out clean. If stuffing the cupcakes with Oreos or Pumpkin Butter, fill each cupcake liner a quarter way full then place one Oreo cookie or a scoop of Pumpkin Butter in the middle of the muffin tin. Continue to fill with the rest of the batter filling each about 3/4 full. Remove from oven and cool completely on a wire rack before frosting. Using a hand or stand mixer, beat butter on medium speed until light and fluffy, approximately 2-3 minutes. Add vanilla, maple syrup, heavy cream and cinnamon and continue beating until well combined. Turn mixer to low speed and slowly add powdered sugar, beating until just incorporated. Increase speed to medium high and beat for an additional 2-3 minutes until frosting is fluffy and creamy. Add more powdered sugar if frosting is too thin or more cream if the frosting is too thick. Taste the frosting and add a 1/8 or 1/4 tsp of salt if frosting is too sweet. Add 1/2 tsp Orange gel food coloring if desired. (Optional). 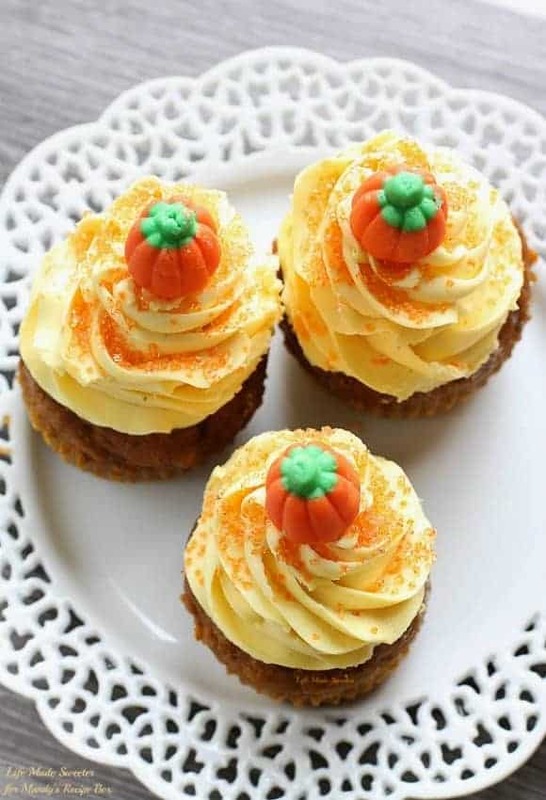 Use a small offset spatula or a pastry bag fitted with a Wilton 1M tip to frost the cupcakes, Top with pumpkin candy corns or an Oreo cookie, if desired.